Maritzburg College will play Affies on Saturday 21 July in the next Premier Interschools, with kick off at 13h15. The match will be played at Goldstones, Maritzburg College’s home ground and will be televised on SuperSport 1 at 17h00. While Maritzburg College and Affies Interschools only started in 1996, this has become one of the most eagerly-awaited matches in the schoolboy rugby calendar given the rich rugby history and heritage of both schools. 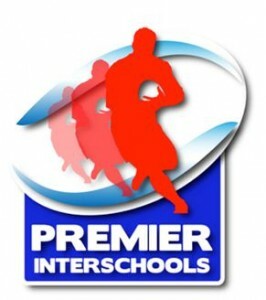 One of the key aspects is the number of teams that both schools can field and thus the chance for all players (up to 27 rugby teams) to get exposure and play for their school in a Premier Interschools game. Every year these schools travel with all of their teams, along with parents, staff and supporters, and as a result firm friendships have been formed throughout the years. The 1st XV have met 17 times since 1996, with Affies the dominant team winning 15 of these matches. The biggest win coming in 2011 when Affies won 55-7. College won twice with their biggest win in 2000, taking the match 16-10. Looking at current form it must be said that Affies looks like the firm favorite to win again. Not only are they currently ranked at No. 3 on the National School Rankings with College at No. 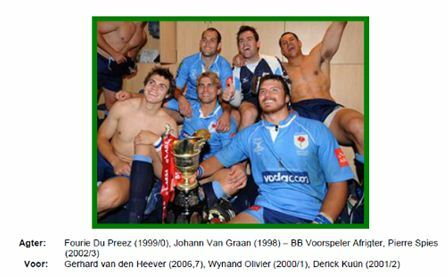 22, but the Blue Bulls with 8 Affies representatives, also dominated the recent Craven Week and won the unofficial “final”. The Affies captain, Pierre Schoeman, also captained the Blue Bulls at Craven week this year. College was represented by three players at the Craven Week, with fullback Jessie Kriel most probably the star player at the tournament. Kriel was outstanding at the back for KZN and hopefully he can carry that form into the Affies game. College will do well to contain Affies No. 10 Ryno Eksteen and No. 13 Jurie Linde. Both of these players are exceptional ball carriers and have the eye for a gap. If they get half a chance, it’s going to be a long afternoon for the boys from Maritzburg. The strength of this Affies team is reflected in the six players called up for the SA U18 High Performance squad. Heinrich Viljoen, Jurie Linde, Nicholas Janse van Rensburg, Pierre Schoeman, Ryno Eksteen and Marcus Kleinbooi. Jesse Kriel from College was invited. College will take comfort in the fact that they are playing at their beloved Goldstones and that home ground advantage will most definitely count in their favour. to build a larger classroom and boarding block, which was completed in 1888 and later became known as “Clark House”, honouring the school’s third headmaster, Mr RD Clark (MA (Oxon)), who is often referred to as “the Father of College”. Clark House is a Pietermaritzburg landmark and carries South Africa’s heritage seal, certifying it as a national monument. A similar honour was bestowed on the school’s Victoria Hall, the building of which was commenced in 1897 (Queen Victoria’s diamond jubilee year) and which served as a British Army hospital from late 1899 until mid-1900 during the Second Boer War. The school crest is a red shield with a crossed carbine and assegai over the Latin scroll bearing Pro Aris et Focis (For Hearth and Home). Debate has taken place as to the origins of the school’s crest and colours of red, black & white. A popular belief is that they highlight the various skirmishes, battles and wars between the British and the Zulu that took place in the late 19th century, with the colours representing the warring parties (white and black) and the blood that was shed between them (red). As recently as 2005, this issue had not been conclusively settled by the school’s Archives Committee. As an aside, four Old Collegians perished during the famous Battle of Isandhlwana, at which over 1,300 British and colonial troops were slaughtered by the Zulus on 22 January 1879, during the Zulu War. A memorial in honour of those fallen Old Boys was unveiled on the battlefield in 1969. 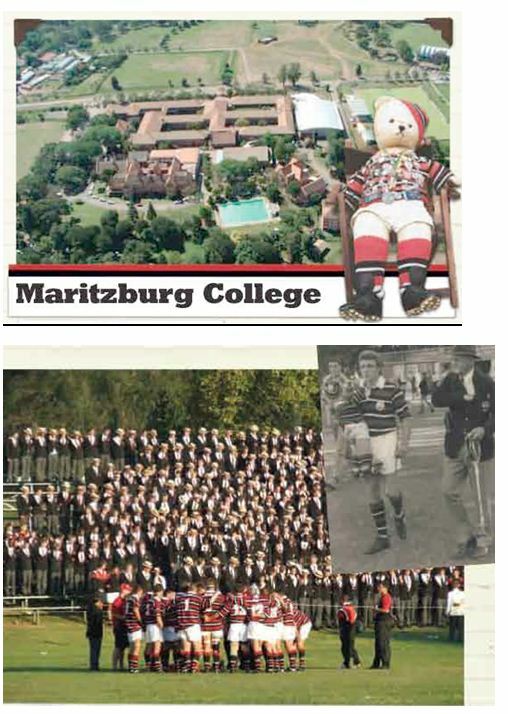 Maritzburg College is traditionally the dominant school rugby force in KwaZulu-Natal. The first recorded rugby match in the province of Natal took place in the Market Square of Pietermaritzburg in October 1870. The contestants were Maritzburg College (then known as Pietermaritzburg High School) and Hermannsburg School. 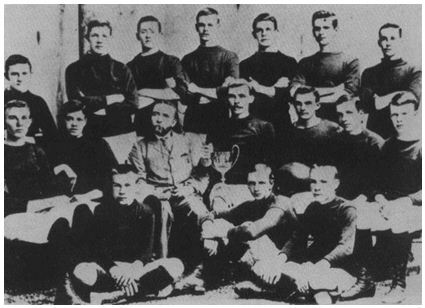 Played on a sun-baked, wheel-rutted, gravel surface, the contest lasted for more than three hours and ended in a victory, for the High School, by two goals to nil. His teams in the 1950s and early 1960s were particularly successful, at one stage losing only five matches in eleven years! Maritzburg College’s superbly consistent record, great depth of talent and enviable reputation for a hard but sporting approach to the game have made it, historically, the premier rugby school in KwaZulu-Natal. No one would seriously dispute College’s right to that title. When a banquet was held in his honour a few years back, Skonk Nicholson was asked to name his College Dream team for the era 1948-1982. 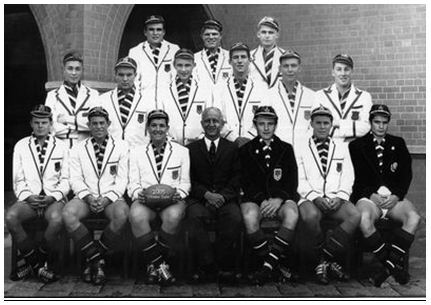 Maritzburg College boys have won 22 South African Schools caps, an achievement surpassed by only one South African school. 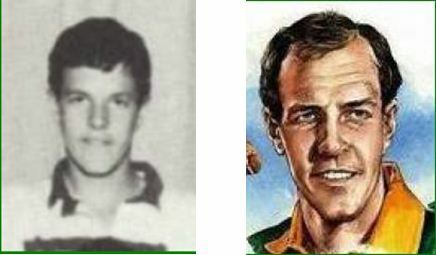 Old Boy Joel Stransky (1984) became the darling of South Africa when he won the 1995 Rugby World Cup for his country with a superbly taken drop goal in extra time of the finals. 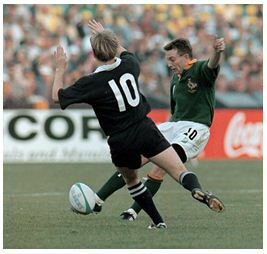 Joel Stransky with his most famous of drop goals! World Cup Rugby Finals and College Old Boys is no stranger to each other, be it in playing capacity or official’s capacity. 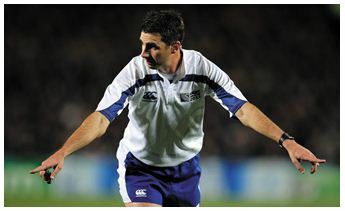 A career in rugby refereeing which started when he was a spindly 15-year-old on the backfields of Maritzburg College reached its glorious summit when Old Boy Craig Joubert took charge of the Rugby World Cup final between New Zealand and France in 2011. Craig at the 2011 Rugby World Cup. 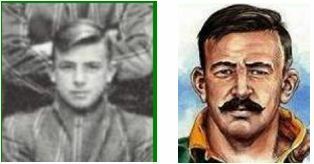 A further two players received springbok colours for going on tour, but never played in a test match. 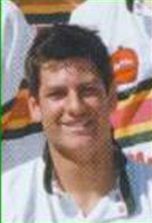 Jeremy Thomson (1996) and Pieter Dixon (2000) In addition, several College Old Boys have represented other countries: Hubert Freakes and Geoff Appleford (England), Juan Grobler and Chad Erskine (United States), Brenton Catterall (Zimbabwe), Wim Visser (Italy), Frank Goedeke (Germany) and Andrew Binikos (Cyprus). 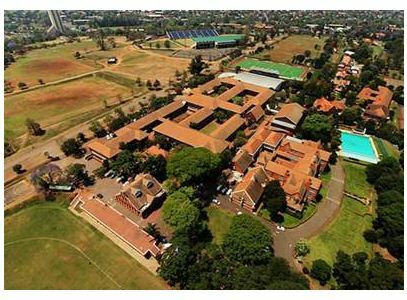 The Afrikaanse Hoër Seunskool (Afrikaans Boys’ High School) also known as Affies, is a public high school for boys situated in the city of Pretoria, Gauteng, South Africa, opposite Loftus Versfeld, the rugby stadium and home of the Bulls and Blue Bulls. The school is well known throughout South Africa for its high academic standards, sport achievements and production of leaders in a variety of fields and subjects, in South Africa and throughout the world. The school’s founding on 28 January 1920 marked the establishment of the first purely Afrikaans-medium school in South Africa. This event predated the official recognition of the Afrikaans language by five years. With English as well as Dutch established as the official language in South Africa many of the Afrikaans population believed it should also enjoy recognition. Afrikaans as language grew so much that Cornelis Jacobus Langenhoven gave in a motion at the Cape Provincial Council to slowly replace Dutch with Afrikaans. This thought was strongly supported by MP Mr Jan Joubert and Pastor Chris Neetling. As leaders in the community they quickly organized a group to establish a purely Afrikaans school in Pretoria. Starting 28 January 1920, with 44 children and 3 teachers the school was founded. 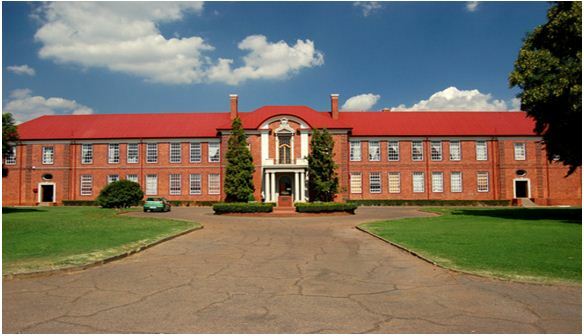 The school was housed in the home of General Piet Joubert at 218 Visagie Street, Pretoria. By 1927, the school had grown and new premises were required. The school was therefore moved to the current premises of the Afrikaanse Hoër Meisieskool. At the end of 1927, the school took over the Hogere Oosteindschool, a Dutch-medium instruction school, suggestive of the demise of Dutch as a language in South Africa and the ensuing adoption of Afrikaans as the primary instruction medium. By 1929 this building had also run out of space and the decision was made to split the boys and girls into separate schools, thus creating the first separate Afrikaans boys’ and girls’ schools in South Africa. These two schools are now situated across each other in Lynnwood Road. Each year Affies challenge the country’s leading rugby schools such as Grey College (Bloem), Maritzburg College, Glenwood High School, Hoërskool Noord- Kaap and many more. At these derby matches each and every team gets a chance to take the field for the Rooi, Geel and Groen. 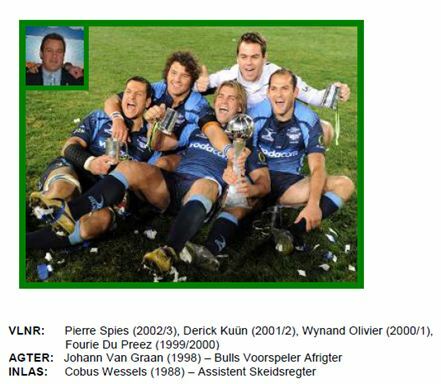 In the last few decades Affies has produced top quality players such as Louis Schmidt, Wynand Olivier, Fourie du Preez and current Blue Bulls captain Pierre Spies (also an Affies choir boy) to name but a few. 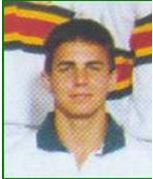 Perhaps Affies’ most unknown star was Francois Swart who played fly-half for Die Witbulle (the school’s first team) alongside scrum-half Fourie du Preez. The formidable duo played for the Blue Bulls and were fast becoming the next Springbok scrum-and fly-half pair. 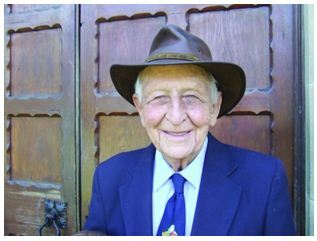 Tragically Francois Swart died in 2004 and since then Affies hosts an under-15 rugby tournament in the Easter Holidays bearing the name of Francois Swart. 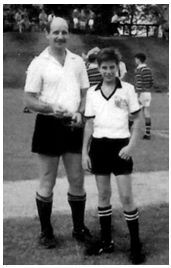 The long standing legacy of Affies rugby builds each year and upcoming stars are still being produced. 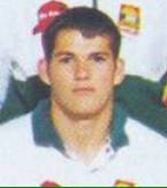 • Andries Ferreira (2008): South African rugby player, representing the Cheetahs in both Super Rugby and the Currie Cup.